0	0	Jesus Bible Storybook	In Stock - Order before 4pm for same day dispatchWant it on Wednesday 24 April? The Jesus Bible Storybook contains 24 brief stories in a board book format to help very young children learn about Jesus. Read stories of Jesus' birth, life, death and resurrection in a few words, with full-colour photographic illustrations from The Big Bible Storybook. 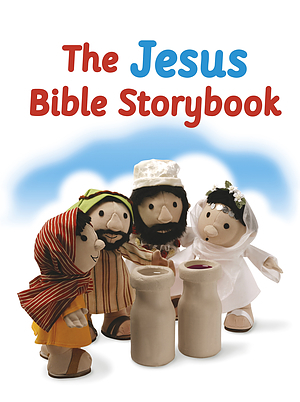 The Jesus Bible Storybook is perfect for use at home, at school and in groups. Jesus Bible Storybook by Maggie Barfield was published by SPCK in January 2019 and is our 2977th best seller. The ISBN for Jesus Bible Storybook is 9780281082568. Another delightful spin-off from the Big Bible Storybook this time for the very young like the Little Bible Storybook As an introduction to the stories of Jesus from the Bible, it is ideal and may be used as a Baptism present by my own church. Attractive and appealing to parents as well as the little ones it is aimed at, its presentation means that it is likely to become a favourite in families that are not so familiar with all the stories within. Got a question? No problem! Just click here to ask us about Jesus Bible Storybook.